In last months Boudoir Beauty Box I recieved a mini Zoya nail polish in Tao from the Smoke & Mirrors Collection. This maybe isn’t a colour that I would personally pick up instore but its dual tones make it an intresting colour. 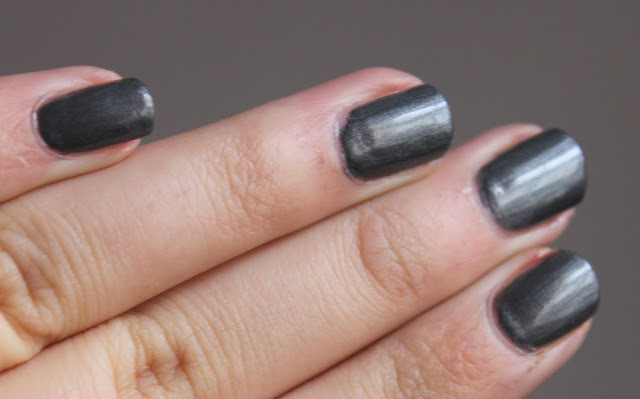 The colour is a darkm steel silver/grey and has tiny blue sparkles as well as hints of blue. It is a perfect winter colour and is quite a nice alternative to black if you are going for a rock’n’roll look. What is your favourite Zoya Nail polish?